Third eye chakra pendant will boost energy in you and encourage you to come up with new ideas and creative thoughts. It protects you from psychic attacks and increases your wisdom. After wearing it, you will feel a change in yourself, how your concentration power has increased! 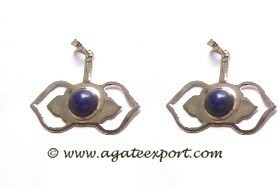 Order this pendant now on Agate Export.